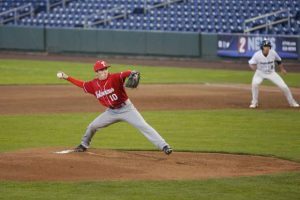 The 2017 North Tahoe High School baseball team returns to action this weekend. 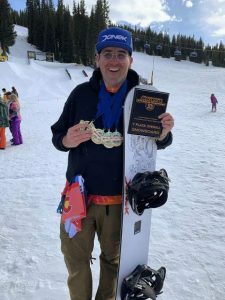 Do you have a story or photo(s) about local youth and prep sports in the Incline, North Lake Tahoe and/or Truckee communities and our schools? If so, please email editor@sierrasun.com with your submissions, and we’ll look to publish as soon as time and space allow. 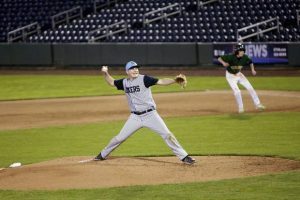 The North Tahoe High School baseball team recently kicked off its season with two preseason tournaments March 10 and 11 against Northern Nevada and California high schools, before starting league competition. Although the Lakers have only been able to practice in the high school gym due to snow on the local fields, North Tahoe came out strong in both tournaments, beating Coleville 10-0, Sierra Lutheran 14-1, Big Pine 11-2, and Whittell 10-0. Junior Graham Payne, sophomore Joe Lanza, sophomore Koby Mattson and senior Trent Lingruen all added strong starting pitching and solid defensive playing. Lingruen finished off the tournament with a perfect game against Whittell, with no hits or walks or balks. 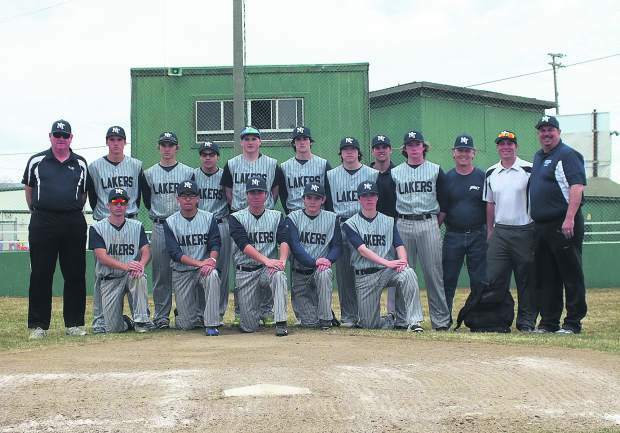 The Lakers first league games took them to Battle Mountain March 17-18 to face the Longhorns, a perennial powerhouse in baseball. On March 17, the Lakers win 10-3, with a combined 10 hits on the day to support Lanza, the starting pitcher. On the morning of March 18, Lingruen took the mound and went the distance in the 7-2 win over Battle Mountain while also driving in four of the seven runs. Lingruen had tremendous help from the Laker defense that shut down the Longhorn bats and added a solid 8 hits. Later Saturday afternoon, the Longhorns took back the momentum with an 8-0 victory over the Lakers, who only managed 3 hits in the game, to complete the double-header. The second league match-up took the Lakers all the way to West Wendover, near the Utah border, on March 24-25. North Tahoe came out in a fury on Friday to support starting pitcher Mattson, winning 14-3. Lanza and senior Corwin Benskin led the Lakers with 3 RBIs apiece, on four hits and one hit respectively, while Payne and Lingruen each added 3 hits and 1 RBI apiece. 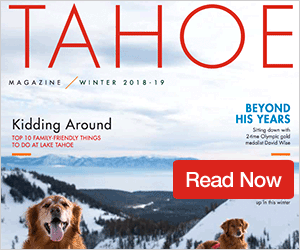 The second game, played Saturday morning, again saw North Tahoe victorious, 7-3. Graham Payne had an excellent pitching performance throwing 69 strikes and only 33 balls. West Wendover fought back with a vengeance in the third game Saturday afternoon. The game was tied more than once and it was a battle to the bitter end, with the Lakers losing 7-6. Xander Kriston and Payne led the day for the Lakers with 3 hits a piece. North Tahoe (10-3, 4-2 league) continues league play when they travel to play Yerington this Friday, March 31, for games at 2 and 4 p.m., and to Pershing County to play games Friday, April 7, at 4 p.m. and Saturday, April 8, at 10 a.m. and noon.